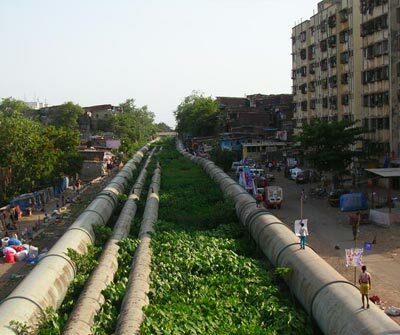 As in many cities, in Mumbai we barely witness the passage of water from rain to sea via lakes, watersheds, pipes, pumps, pots, human and animal bodies, drains and sewers. Even as these hidden passages describe a unique social, chemical and political structure, a map of ourselves in the modern world. More than many of us, residents in the slums of Jogeshwari spend time waiting and hurrying around this substance, its leaks and sources. As part of an investigation into the social life of water in these areas, Pani Sare Dhaga Ma (Water is In All the Clouds) is a collaborative project between youth of two community organizations- Aakansha Sewa Sangh and Agaaz, with CAMP and led by the researcher Nikhil Anand. Working together since march 2008, we have been thinking through questions of "citizenship" and distribution by looking at how residents form relationships with water and its infrastructures: including official water supply, alternative plumbing, ground water, tanker politics, and so on. The group has been meeting every possible Sunday since March 2008. Writing, shooting and some rough cuts of the videos were finished by June 2008. As the name of the project suggests, water has several narrative flows, multiple scales and notes attached. The group has been shooting on their own, bringing their footage into a collective pool, writing over images in analytical, diarisitic or essay styles. What has emerged are a series of writings, short films and image-vignettes from four different slum areas, each one shot by one group and written over by another, collaboratively authored and edited. In phase 2 (September-December) the project will undertake various modes of dissemination and distribution, screenings and discussions in Jogeshwari and elsewhere in the city. 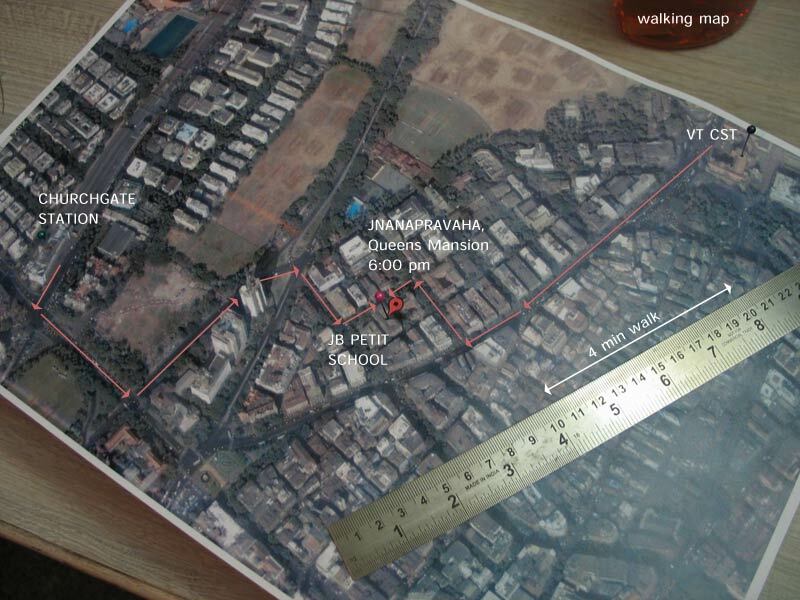 We are trying to set up a local archive in Jogeshwari to be used in their future social and political work in the area. Video itself becomes a material resource, available for argumentation, reference and viewing pleasure. Camera- Suraksha Amroskar and Rashmi Mirkar. Camera: Wasim Ansari and Ismail Sharif. Produced by CAMP, Agaaz, Akanksha and NIkhil Anand. Thanks to Point of View and Bishakha Dutta and Pad.ma members. Series editor: Shaina Anand, Ashok Sukumaran.